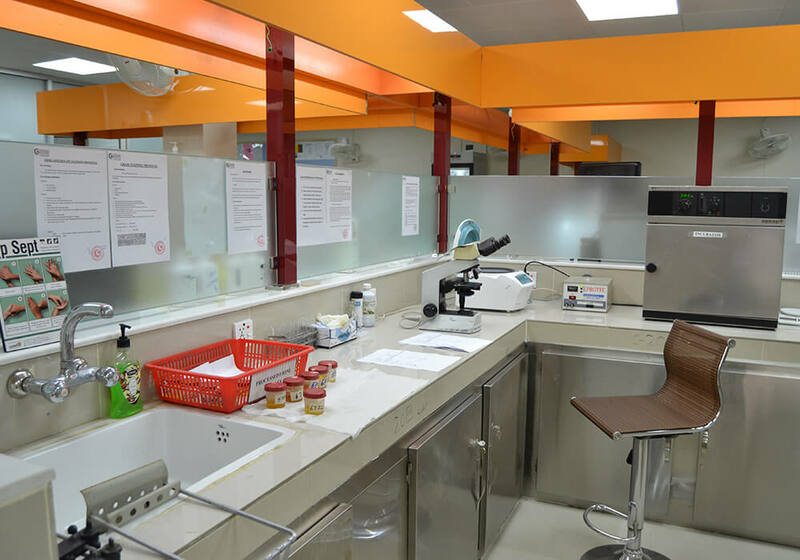 The Pathology department at Ghurki Trust Teaching Hospital is working round the clock, providing the patients with routine and speciall aboratory investigations at a nominal and affordable cost as compared to the other major hospital/laboratories of the city. It is our ambition to bring this laboratory at par with the other major labs. We are proud to have it as ISO 9001- 2008 certified in order to maintain quality standards along with others. 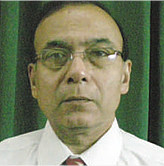 Arterial Blood Gas Analyzer (ABG’s) has been installed to facilitate the Blood Gas Analysis. 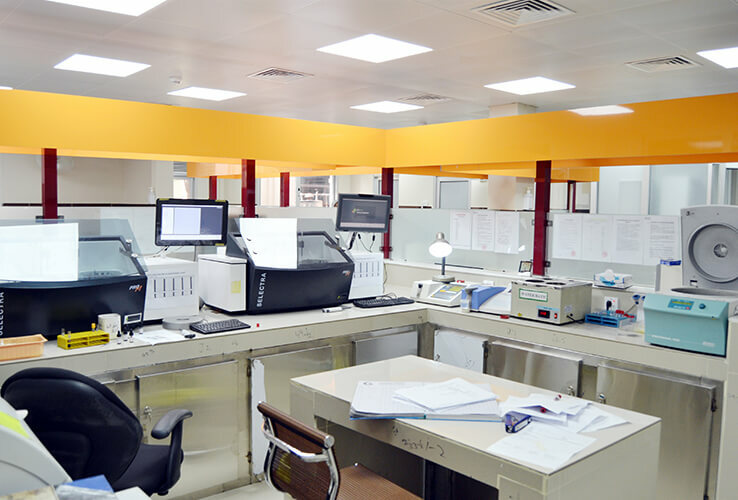 With the availability of Architect i1000 SR(Abbot) equipment, Hepatitis B, Hepatitis C, HIV and RPR are regularly being performed on this machine. Moreover, most special test T3, T4, TSH, Serum Ferriting, PSA, Vitamin D3 are also performed by this method at much reduced price. 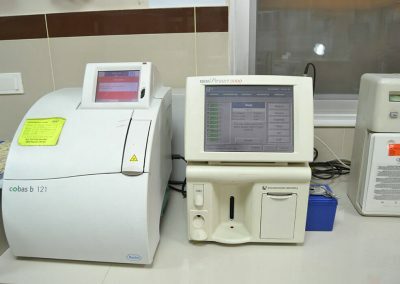 Complete Blood Count (CBC) are being performed on automated hematology analyzer Sysmex 6-Parts which is the state of the art. 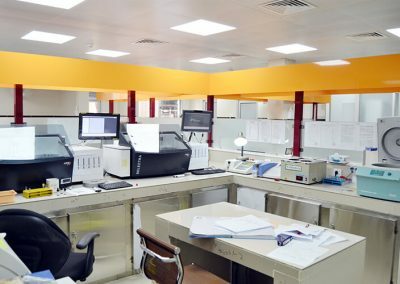 Blood Bank Screening is done by Chemiluminescent Technique Architect i1000 SR (Abbot) and cross match is performed on automated equipment (DIA-MED) by highly qualified staff. 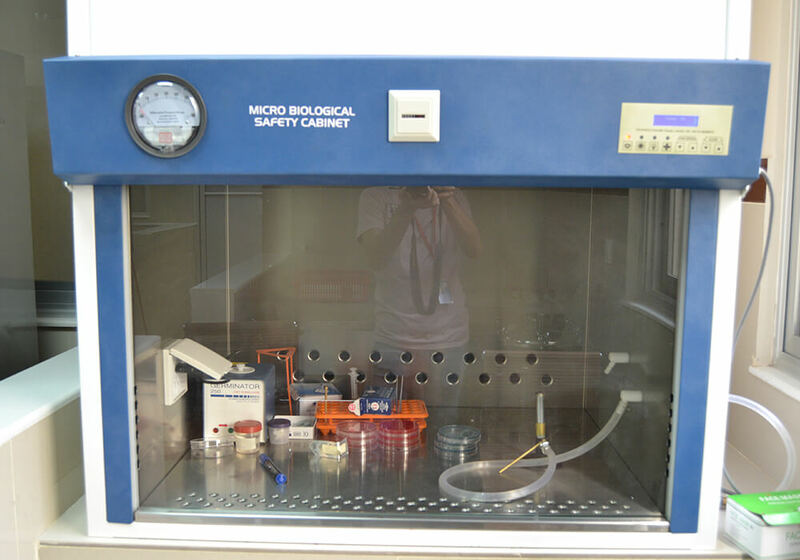 Packed Cells, Blood Products FFP’s are also performed on state of the art instruments. 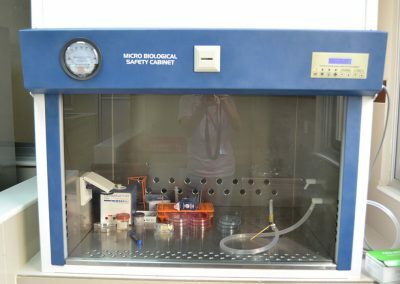 For routine chemistry there are two Semi Automated Chemistry Analyzers a fully automated chemistry analyzer with a capacity of performing approximately 100 tests per hour SELECTRA PRO-M.
Electrolytes are being performed on our ISE. Work space of Laboratory has almost tripled with separate Phlebotomy, Routine Chemistry, Haematology, Microbiology & Blood Bank. 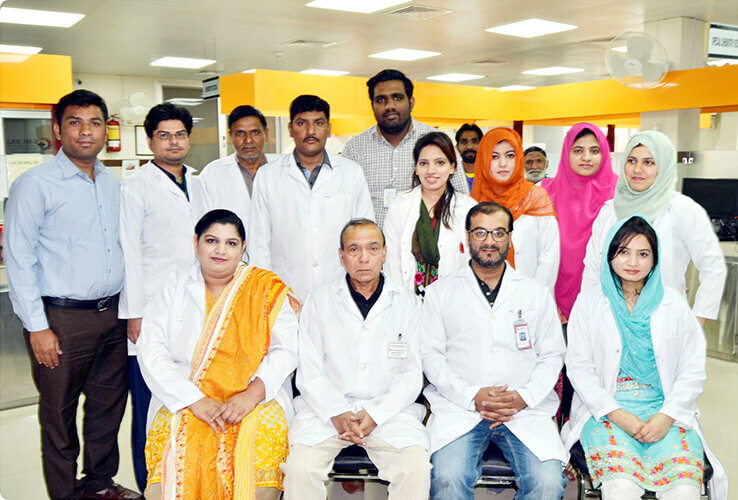 Punjab Healthcare Commission (PHC) indicators are being strictly implemented in Lab and Blood Bank.